Turtle’s gone. It’s unsettling how the absence of the seventh dog in a now six dog household can feel so pronounced and yet so hollow. If you know me or have followed my predominantly Eleutheran writings, you know that Turtle is a four-year old potcake we adopted last summer. Turtle was rescued by the local Bahamian police after she’d been chained to a tree for three years. We have her brother, who’s a great dog. We knew she had some health problems but with our vet’s help we were confident we could work through them, and we adopted her. When Turtle came to us she was skinny and a sort of reddish, light brown color. Her brother has a very dark brown, almost black coat, and we hoped that with proper nutrition Turtle’s hair would become the same silky sable. She was trimmed post-rescue to better stand the intense Bahamian summer heat, and her hair didn’t grow back. It seems she had a rare disorder that regrows hair very slowly, if at all. Turtle also had heartworms, those insidious choking assassins transmitted by a mosquito bite. Many dogs in the Bahamas acquire heartworms if they are not given a monthly heartworm preventative. I guess when you chain a dog to a tree for three years, heartworm preventative is not high on the priority list. We treated Turtle every other month and watched her gain strength and weight. Our first real time spent with Turtle was during the month of August last year. She was shy and tenuous and everything was new to her. She learned to run on the beach and swim in the ocean and stick her head out the car window while her ears flew back. She was a four-year old puppy. She was protective of and devoted to us, following us everywhere with wide-eyed looks of adoration. One time on the beach a part-time island potcake of ours, Biz, ran down the dune excitedly toward us, happy to see us and energetically heading to the water. Turtle met him head on and attacked him, violently gripping his haunch in an iron lock and not letting go. We wrestled both dogs into the beautiful turquoise sea and gradually Turtle released her grip. We wrote the incident off to an unfortunate one-time incident, precipitated by fast-moving action and misunderstanding. The end of August brought Irene, the category four hurricane whose eye passed directly over Governor’s Harbour and directly impacted all of Eleuthera. Turtle and Biz and Fred and I weathered the flooding rains of the first half, the calmness of the eye as we gingerly waded around the property inspecting the damage, and the dry angry 120mph winds of the second half. I remember battling the incoming water at 3:00 in the morning, picking up Turtle and plopping her on the bed as it was the only dry spot in the house. She placidly looked on, wisely and calmly, as though she’d been through hurricanes before. We left Turtle on Eleuthera with a caregiver, returning several times until we arrived for our five month, more permanent stay in December. Turtle integrated pretty well with our three dogs from the States—her brother, an 11 year old black lab, and a nine year old golden retriever/pitbull mix. The other three developed their places in the pack but Turtle was always a little distant. She guarded doorways and only begrudgingly would let dogs pass. Workers on the property were wary of her and her guttural, quiet growl. Still though she ran on the beach with her pack, followed me around with two of the other dogs, and generally seemed to be doing ok. We saw times we thought she was “getting better”, and times we were frustrated with her lack of progress. The last two or three months on Eleuthera she began “nipping”. She would graze a person or a dog with an open mouth and a dark look. She moved lightning quick, returning to her down position as though nothing had happened. She didn’t ever break the skin of her intended target, but she gave a stern warning that was never ignored. There was the one time she did break the skin on a person’s elbow, but it was a grazing and it didn’t really hurt and we were sure it was an aberration. We brought Turtle back to the States in May. She was very good on the small airplane, and we laughed that fortunately she nipped at the pilot only after we were safely on the ground. We drove to Atlanta and she was fine for the couple of days we spent there. 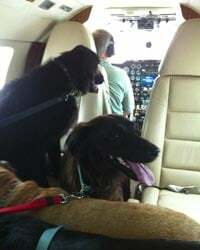 We left two dogs in Atlanta and drove Turtle and her brother to Rhode Island. They were bonding and seemed very close. Her nipping didn’t seem to be a problem and we were very happy with her progress. Once in Rhode Island we introduced Turtle to the existing three dogs in our house there. They are all rescued potcakes too, and Turtle turned back to quiet and tenuous, once again redetermining her surroundings. Her two dog companions from Bahamas/Atlanta came to join her in a couple of weeks, and soon we had seven dogs living in some degree of harmony. Turtle and her brother played rough, tumbling and growling and rolling around in the green grass. She would shoot warning looks at the three dogs she knew the least, but on the whole they were a pretty good pack. Turtle nipped at a friend who walked into the house unannounced, but well—she should have rung the doorbell. We put up “Beware of Dog” signs. She nipped at the foot of a younger family member but you know, there was a lot going on and she was confused. We left for a week long trip and left the seven dogs with our very capable and knowledgeable dog sitter. She stays with the three here in Rhode Island while we are in the Bahamas, and she knows all the dogs well. At some point while we were gone, we don’t know why, something in Turtle snapped. She violently attacked one of our Rhode Island potcakes at night in the yard. Our dog sitter managed to finally pull Turtle off the other dog, but not before numerous bite wounds hung like a brutal necklace around her neck. When the other dog was brought home from surgery, Turtle immediately launched into her again. There was no denying Turtle had some major grudge against that dog. We tried to figure it out—the other dog was mild and submissive…Turtle wanted more attention…our theories went on and on. But we had human, thinking theories and Turtle had base, canine actions. We had no choice but to put Turtle in a kennel until our return. Our vet told us that Turtle would never be able to come back home without a repeat incident, and recommended putting her down. I couldn’t stand that; we’d worked so hard on the dog and I just knew at her heart she was a good dog. She was kind and gentle with me. She was loyal and smart. There had to be a way to keep her alive and stop her aberrant behavior. I found a trainer in Rhode Island who specializes in dealing with aggressive and problem dogs. He agreed to take her for a six week “board and train”. We followed her progress on Facebook and saw photos of her learning to stay in place, swimming and playing with her new pack of other dogs in training, walking complacently on a leash. We heard she was an ace at off-leash commands and never growled or nipped. This was it, we thought. Turtle could come home and become the good dog we both knew she had inside of her. The trainer brought a very calm Turtle home to us last week. She was happy to see us but once again tenuous and cautious. She was very well trained. She would stay in place for an hour or more, heel at my side as we walked, come immediately when called. All was well and I was thrilled to have Turtle back. She looked great! Her hair had finally grown out and it was the promised black color. She followed me everywhere and I had visions of the perfect, beautiful potcake at the end of the rainbow. The next morning Turtle wolfed down her food and we let the other dogs outside. We were still cautious about her and the dog she’d attacked before. Turtle walked over to that dog’s food dish, squatted and peed in it. Hmmm. We put Turtle out and hoped that was some strange behavior she’d picked up in a kennel somewhere along the way. Turtle’s targeted dog that day steered clear. We would all be in one room—all the dogs and us—but the targeted dog would be on a different floor in the house. She knew something; Turtle had efficiently communicated her message. That afternoon Turtle flew at her and attacked her again. I dove on the floor and took the back of the other dog; Fred took the back of Turtle. Once again Turtle had locked her jaws into the nape of the other dog and wouldn’t let go. The other dog’s collar probably saved her life as it somewhat blocked the sharp teeth from sinking deeply into the gentle skin. Breathing heavily we threw Turtle outside and tended to the other dog. She was hurt and scared, but basically would be ok. We contacted the trainer who suggested that the other dog and Turtle return to his training so their differences could be worked out. That option was expensive but tempting…it would mean I could keep Turtle and maybe emerge with the beloved potcake I just knew I already had. We decided to keep the two dogs apart for two days until the trainer could come back and evaluate the situation. Turtle was out while the other dog was in; the other dog ate while Turtle was out; our other two smaller at-risk-dogs could not be left alone with her either and it was a shell game of who was where when. I found a wound I didn’t understand on the haunch of another potcake. It looked like a deep bite wound but when could Turtle have done that? It was exhausting. I wasn’t sleeping and neither were the other dogs. Turtle seemed to sleep well. Turtle’s last full day was horrible. She was wary all the time and gave black looks to every dog. They would see her coming and leave the room. There was even a time I was alarmed enough at her look that I moved away. Long ago, although maybe it was only a few months, I’d seen Turtle develop an odd, twitching lip and drooling when she was upset. I finally realized it meant she was about to attack. Wisdom came too late. The next day I spent taking dogs to the vet. The one with the apparent bite wound had, in fact, been bitten. She required surgery. She now has fifteen stitches and an Elizabethan collar around her neck. The other, targeted dog, developed an infection from her bites and is on antibiotics. The vet told us, once again, that we had no choice but to put Turtle to sleep. The trainer, who really did an excellent job with Turtle behaviorally if not emotionally, came back and Fred told him Turtle would be killed unless he had a better idea. The trainer believes strongly that no dog should ever be put down for any reason, and he took Turtle. He says he will find her a foster home, monitor her behavior, and try to combat her emotional problems at their root. He hopes to find her a loving home but worst case scenario is she will live out her life in his dog sanctuary. It’s by far the best scenario for Turtle. Turtle hopped into his van, they drove off the property, and Turtle didn’t look back. I cried, pretty much all day. I tended to abscessing wounds and Elizabethan collars and antibiotic pills. It’s hard to say which I miss more—Turtle, or the perfect concept of Turtle I have in my head. I want that silky black, smiling potcake swimming next to me in the crystal clear Bahamian water, sitting grinning in the passenger seat while I run into the store, loping down the pink sand beach under the pinks and reds of the setting sun. Unfortunately what we wish for isn’t always what we get. Awww, Turtle. We will miss her for sure. May she soon be free of her demons and find the peace and contentment she deserves. Lucy forwarded me your article. First, I have to tell you how great of a writer you are. I have checked out your blogs before and I am a fan for sure! I am so sorry about Turtle. You and Fred certainly have tried everything you possibly could have tried and I don’t think most folks if any would have gone to the extreme that you both went to for Turtle. Perhaps, she will be happier and more at peace with the trainer. I certainly hope so. Please tell Fred I said hello and enjoy the rest of the summer. Poor Turtle….and Elsa…and Fidget! I hope they are feeling better soon. I have been following right in your shadow with the trials and tribulations of Turtle. It’s very sad. When I was at the house during her return last Friday I saw how happy you were to have her back. Everything SEEMED like it was going to be just fine. I’m so sorry she wasn’t able to continue on as part of the Frost’s Potcake Pack. I hope she does better with the “dog whisperer” and he is able to either find her a home or keep her happy at his site. Wow, I thought Turtle was finally OK thanks to trainer’s excellent help. I’m so sorry it didn’t work out. I’ve been at home with the flu and this morning I had a dream that when you and Fred returned to the Bahamas (maybe in December?) you were greeted at the house by a herd of happy potcakes. I’m not sure if this is a good or bad dream, but I hope it’s a good one! My heart goes out to you. You gave him a chance he never would have had. I had a dog that adopted us off the streets of Soulard. His first owner beat the crap out of him, even stabed him. He was a great little guy though unpredictable- bit just about everybody we know. Hey katie and fred, i know you tried hard and invested a lot of love, money and more into Turtle. I m sad for you that you cant keep her but at the same time i m happy for her to be in good hands. maybe the right ones for her. so glad that Jeff took her and she had not to be euthanized. Hi, Katie and Fred. This was such a sad story. I was so glad to see at the end that Turtle is okay, from the opening I thought he had died. It sounds like he has the help he needs. Sometimes we’re just not able to get over our pasts, I guess, at least not without professional care. I’m so glad your trainer wanted to keep him. Oh, and for us ignorants, what the heck is a potcake???!!!! Doesn’t sound like a term that would apply to dogs at all. Hope you’re both well. Okay, sorry, I looked at your other articles, guess I missed the one describing what a potcake is when I was reading thru them.